Be the first to share your favorite memory, photo or story of Buddie. This memorial page is dedicated for family, friends and future generations to celebrate the life of their loved one. Buddie Ray Stanford, 73, of Americus died Sunday, March 31, 2019 at Phoebe-Sumter Medical Center. A native of Ranburne, AL, he was born November 30, 1945 to the late D. Mancil Stanford and Frances White Stanford. 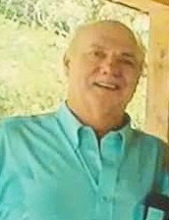 He worked as a construction Superintendent and was an avid hunter and fisherman. A memorial service will be held at 1:00 p.m., Wednesday, April 3, 2019 at Drayton United Methodist Church. Rev Hall Grimmit and Rev. Mary Ann Braswell will officiate. Survivors include his wife, Julia Grant Stanford of Americus; daughter and son-in-law, Amanda and Josh Griggs of Vienna; two sons and one daughter-in-law: Marcus Stanford of Rock Hill, SC, and Adam and Angelia Deriso of Americus; one sister, Lula Mae Baughtman of Villa Rica; one brother and sister-in-law, Jerry and Sara Stanford of LaGrange; two brothers-in-law: David Grant and Tharpe and Tina Grant, all of Andersonville. Also surviving are three grandchildren: Alexander Deriso, Annalynn Griggs, and Leah Griggs. The family suggests memorial contributions be made to: The American Kidney Fund, 11921 Rockville Pike, Suite 300, Rockville, MD 20852 or to The Sumter Humane Society, 108 Industrial Blvd, Americus, GA 31719. To send flowers or a remembrance gift to the family of Buddie Ray Stanford, please visit our Tribute Store. "Email Address" would like to share the life celebration of Buddie Ray Stanford. Click on the "link" to go to share a favorite memory or leave a condolence message for the family.